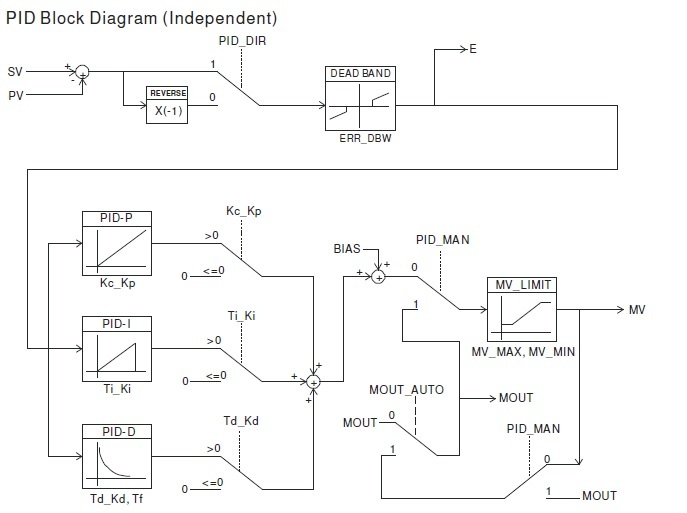 Delta AH500 PLC programming instructions for PID algorithm. 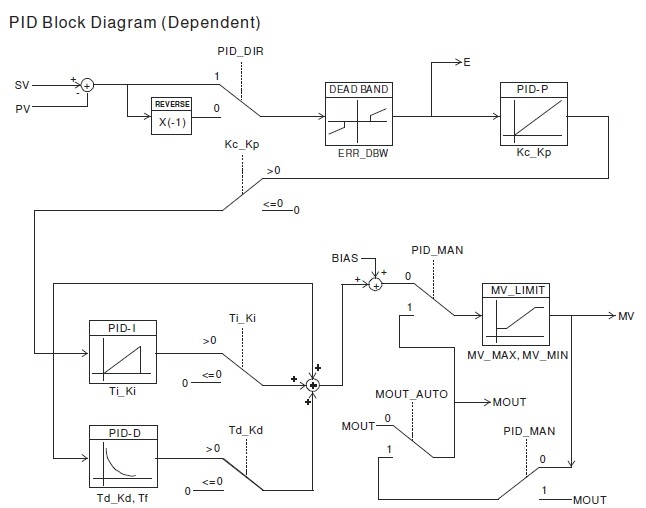 The PID algorithm is implemented only when the instruction is executed. PID stands for Proportional, Integral, Derivative and is widely applied to mechanical, pneumatic and electronic equipment. Before the instruction DPIDE is executed, the setting of the parameters should be complete. When M1 is OFF, the MV is 0, and the MV is stored in D200. When X0.0 is switched OFF, the instruction is not executed, and the previous data is unchanged. 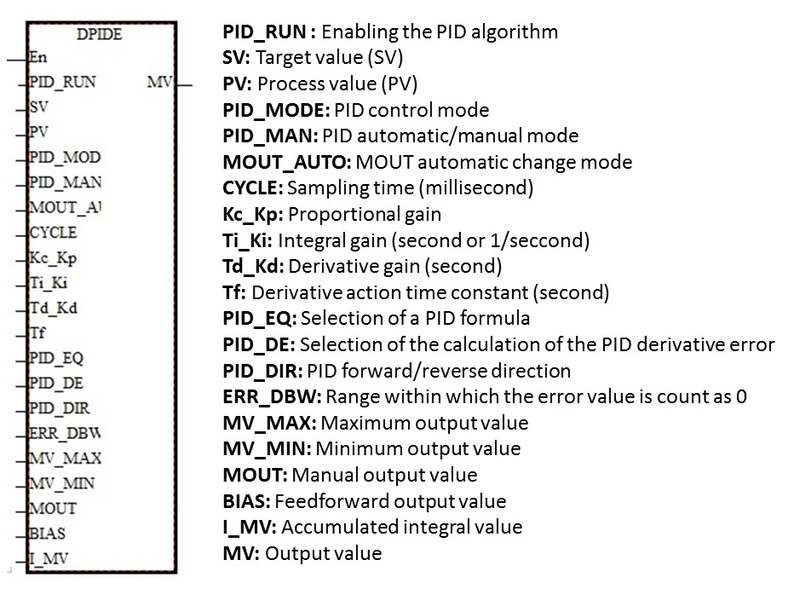 The PID algorithm: When PID_MODE is set to 0 (false), the PID control mode is in automatic control mode. 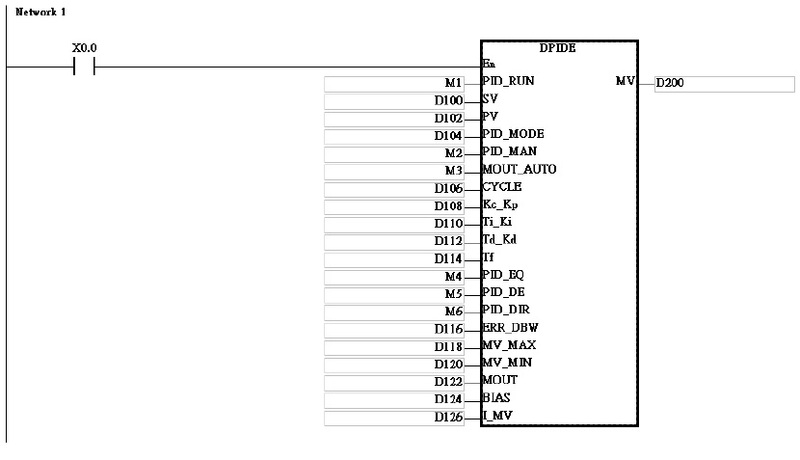 When PID_MODE is set to 1 (true), the PID control mode is in automatic tuning mode. After the tuning of the parameters is completed, PID_MODE is set to o (false) automatically.